Justice systems are not supplying what they should: more than 4 billion people are estimated to have inadequate access to justice. Trapped in a marriage full of violence? Tough. A policeman beats you up for no apparent reason? Tough. A powerful monopolist destroys your successful start-up? Tough. Daily life for this group of 4 billion people is not a matter of how much justice you can get, but how much injustice you can live with. This is the first challenge and those in the West may be tempted to say: let’s give them what we have, let’s export our high quality justice system. But the justice systems of the West aren’t working too well either. Procedures are slow, impersonal, hard to understand and too expensive. A 2013 report by the Canadian Bar Association speaks of “the abysmal state of access to justice in Canada today.” The New York State Access to Justice Program refers to a staggering 1.8 million unrepresented litigants each year. The global access to justice problem is much larger at 4 billion, and “exporting the West” is not the solution. The second challenge relates to what citizens, governments and businesses demand from the system. Huge societal changes connected with technology and science are happening globally. This is what Klaus Schwab, Founder and Executive Chairman of the World Economic Forum, calls “the Fourth Industrial Revolution”. Experts at the Forum's Davos meeting in 2016 predicted a more than 80% chance that by 2025: 90% of the world’s citizens will have a smartphone by 2025; one trillion sensors will be connected; the first 3D-printed car will be in production; and the chance of the first transplant of a 3D-printed liver is just under 80%. These and many more changes affect doing business, being employed, planning life, being safe and being free. They will lead to new value propositions, supply chains, employment relations, and financing models. They will affect government-citizen relations, family relations, education systems, crime-fighting models and fighting wars. And all of this will require a massive change of rules, because the current ones don’t work anymore. How can our old tax rules cope with Airbnb hotels or our passenger safety rules with Uber taxis? How can our criminal law deal with preventative policing based on big data? The third challenge we face relates to the design machinery we have for making good justice systems: it can’t really produce what we need. This machinery lacks capacity and is entirely shaped around governments and lawyers. It lacks knowledge and innovation horsepower. The 2015 Fragile States Index helps gauge the available capacity, and of the 178 states monitored in the index, the word “stable” only appears after 53 states. It shows us that the average resource capacity that a parliament, justice ministry and court will have in order to cope with the challenges described above is at the level Trinidad & Tobago, Cuba and Botswana. The capacity of international organizations doesn’t look much better. 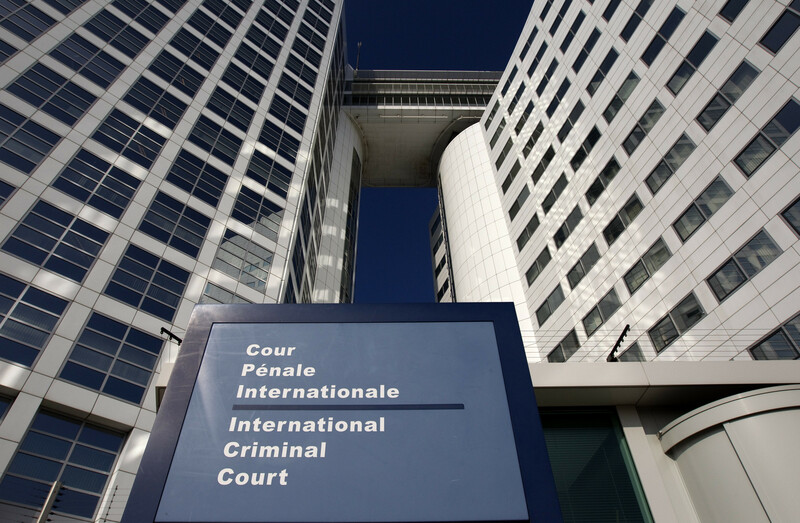 Setting up the International Criminal Court was relatively fast – it took 15 years – and its procedures are now, 12 years after its establishment, demonstrably ineffective and extremely difficult to change. But assume for the sake of argument that all governments were as capable as the proverbial Denmark, we’d then face a tremendous methodological issue. The traditional solutions to producing more value from justice systems are introducing more rules, lawyers and legal structures, such as bar associations, law societies, councils for judiciary, legal aid schemes and courts. This way of working goes against every basic best practice for innovation. We need design systems that are open to other disciplines and focus more on societal problems than on legal concepts. We need them to have an element of competition and invite innovation and responsible risk taking. Innovation in the tourism and taxi industry wasn’t left to governments, hotel chains and taxi companies; innovation in law can’t be left to lawyers and legal institutions. These problems can be addressed. First, we need to build knowledge: research connecting justice to the latest knowledge about neurology, psychology, sociology and information technology. We need more empirical research focused on justice needs and experiences of the users of justice system. This is a task for governments, universities and research councils. More money needs to be freed up for this kind of research, and more research institutions needs to stimulate research in these areas. Secondly, we need to build innovation incentives. Like any other sector, innovation in the justice sector needs money. Governments, international organizations, foundations and civil society organizations need to develop financial vehicles that can support justice entrepreneurs, both within and outside the public sector. Ministries of justice, courts, legal aid boards, law societies and bar associations have pitiful or no budget for innovation. We badly need an ecosystem of seed funding, money, loans and (impact) investment for the justice sector. We have funds for malaria and tuberculosis – what about a global justice innovation trust fund? What needs to be done to encourage impact investors to move into the justice area? Finally, we need new way of organizing. Ministries of justice, judiciaries, bar associations and legal aid boards should focus less on top-down control and more on creating and nourishing an infrastructure innovation space for open justice. We need to get rid of laws that limit innovation, like the virtual monopolies of bar associations. These things are not a luxury: well-functioning justice systems are key for social inclusion and economic development.